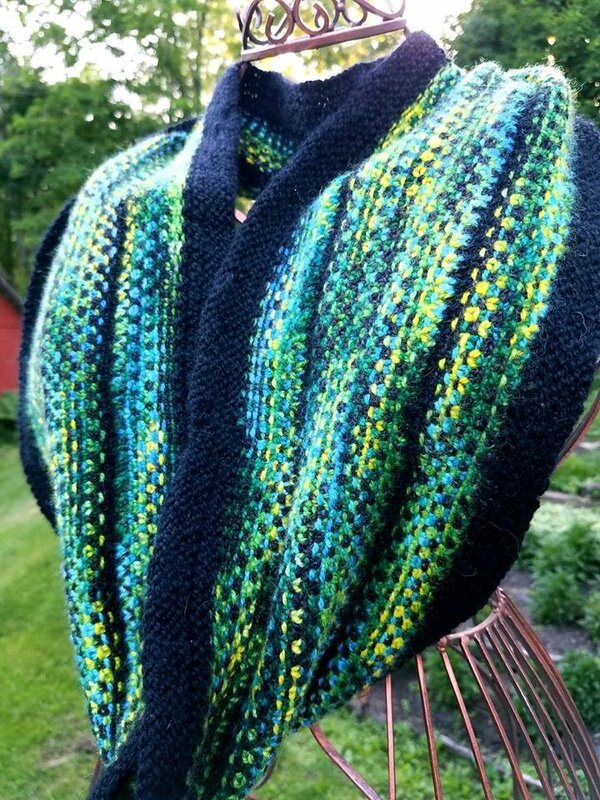 This Super easy cowl that uses one skein of spectra dyed Feederbrook Farm BFL DK and one solid black BFL DK. The use of the linen stitch allows the colors to mingle and interact with one another.The pattern was inspired by the atomic emissions spectrum which is a unique spectrum of light is emitted by an element when electricity is run through it or when it is viewed through a prism. Because they are unique, they can act as elemental fingerprints. The pattern does give you a few length options written into it. Just make sure to have an odd number of stitches so the linen stitch will work out.